One of the key components for a delicious sandwich recipe is the bread! 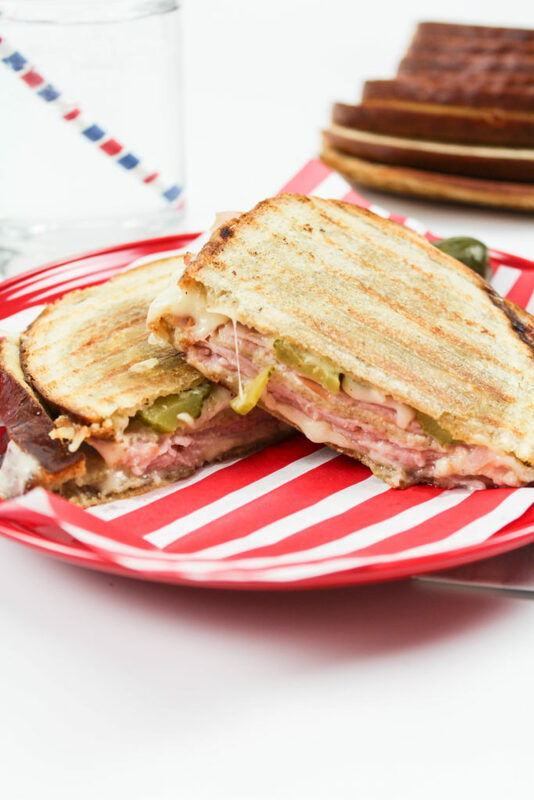 For this amazing Cuban panini recipe, you’re actually going to be using 3 slices of bread for each sandwich, so I wanted to be sure to pick a really delicious choice! I’m also pairing the bread with ham. 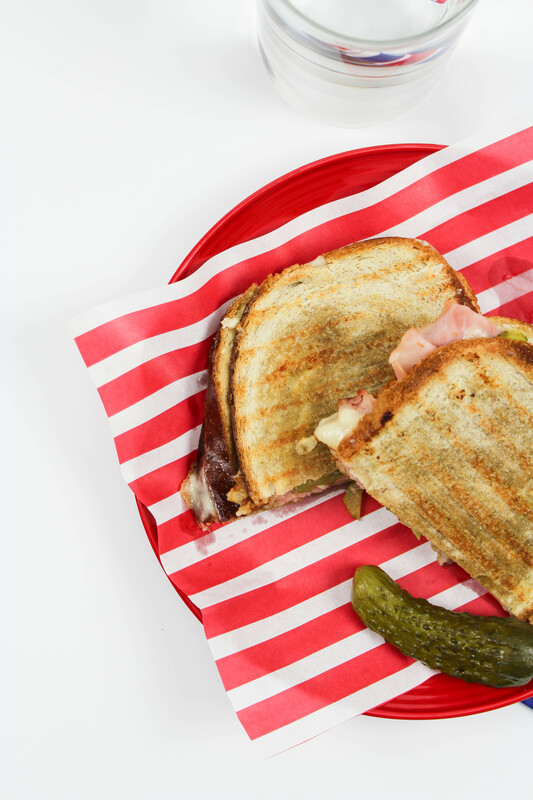 I chose Hillshire Farm® Thin Sliced Honey Ham, because it’s slow roasted for hours and adds a lots of delicious flavor! It also contains no artificial flavors, and no by-products, which is always a win in my book. Pair all of that with some homemade garlic mayo using Hellmann’s® Real Mayonnaise, and we’ve got a winning sandwich on our hands! And the best thing, besides the flavor of this baby…? 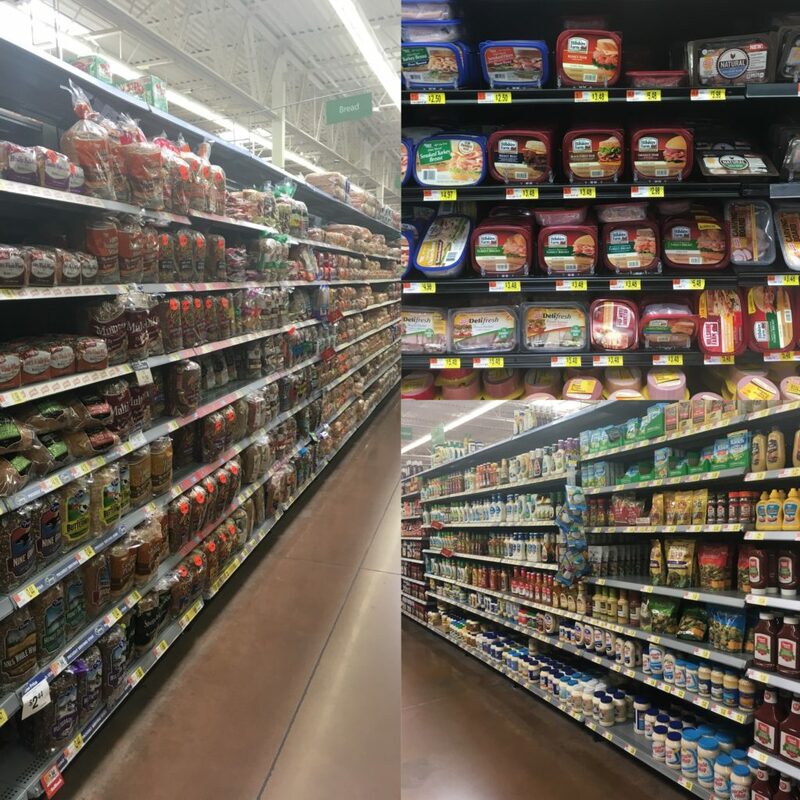 The fact that all of these ingredients are available at your local Walmart store! No hunting for special or hard to find ingredients required! Preheat a panini press, or a stove top pan over medium-low heat. In a small bowl, mix together the mayonnaise, garlic, salt, and pepper. Set aside. 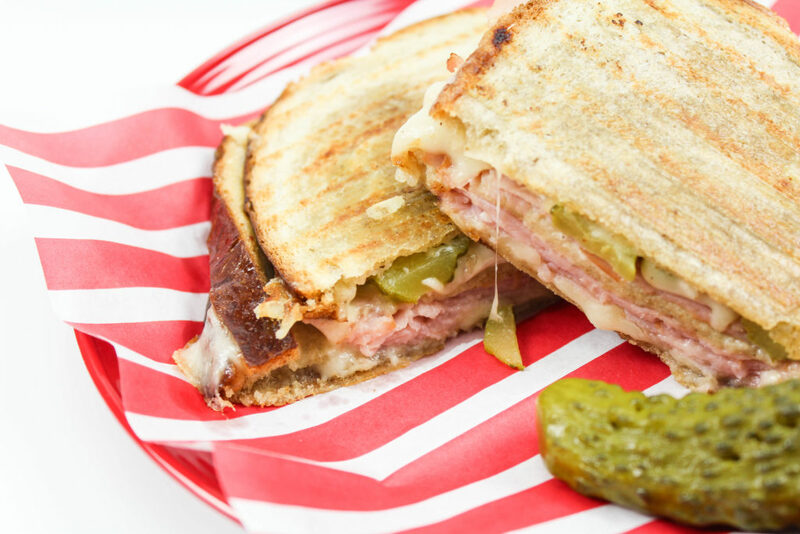 Now it’s time to build your panini! Place one slice of bread on a plate and spread with your garlic mayonnaise. Layer with ham and top with swiss cheese slices. 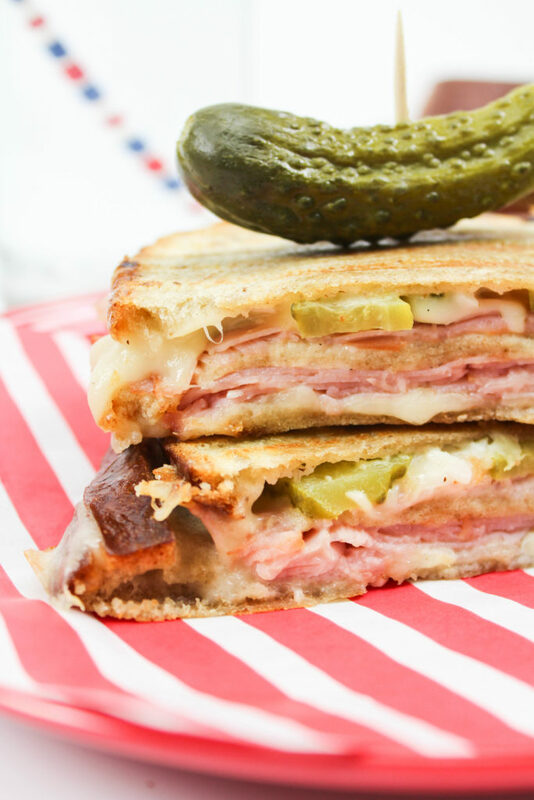 Place another slice of bread on top and add ham, swiss cheese, and sliced pickles. Spread another piece of bread with your garlic mayonnaise and add this piece to the top of your sandwich, finishing it off. Press down onto your sandwich gently, condensing it a bit. 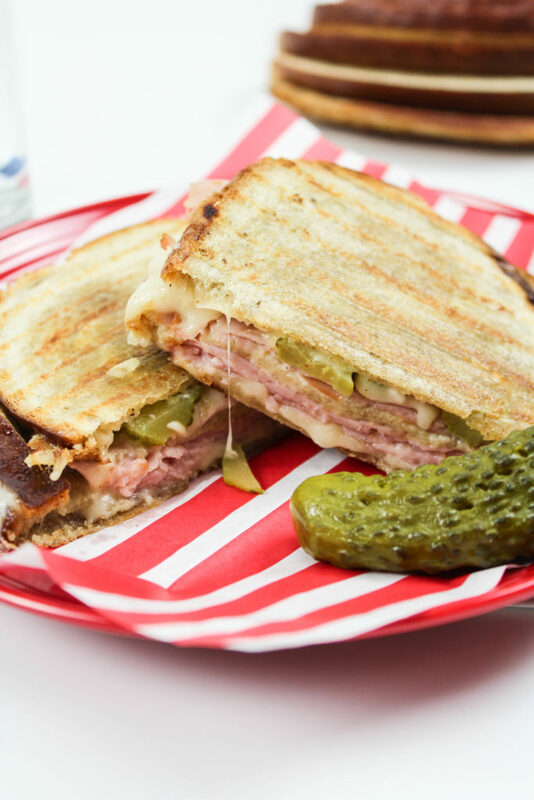 Place the sandwich onto your panini press or into a stove top pan. If using a stove top pan, place another pan on top of your sandwich to weigh it down. 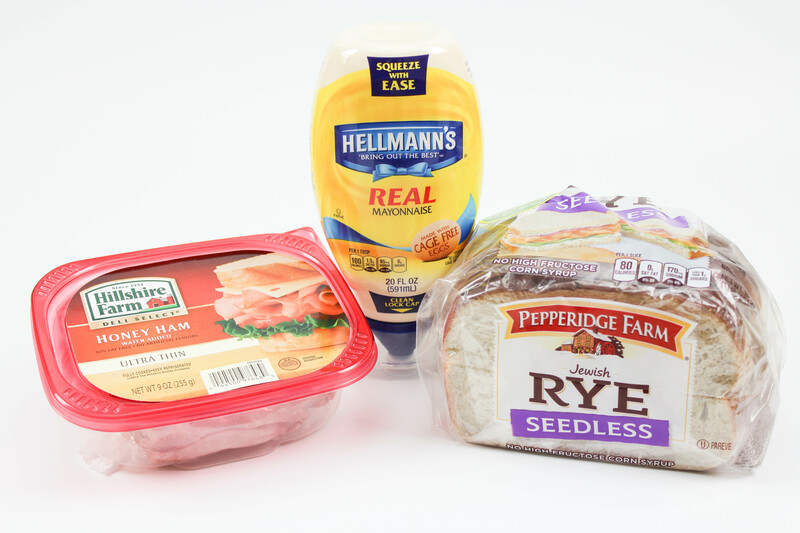 (TIP: Use Hellmann’s® Real Mayonnaise on the outside of your bread for a crispy grilled crust! Slowly begin pressing your sandwich down, as it toasts, creating a panini. If using a pan, rotate your sandwich to get an even toasting on the outer layers of bread. Remove from heat once the cheese is melted and the outside bread layers have a good crispy outer crust on them. Cut in half and serve with a pickle spear. 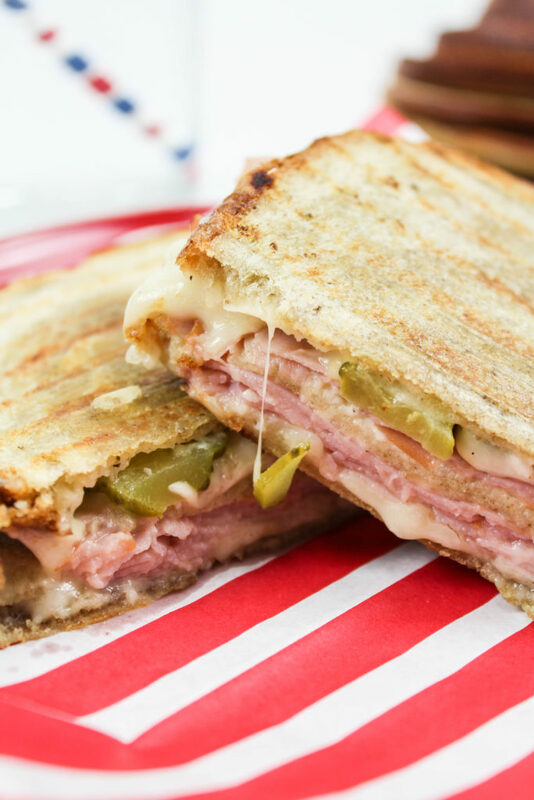 This Cuban panini recipe is delicious and a lot more than just your average sandwich. Now get out there and enjoy those warm days!